Record Nations is partnered with local, document scanning services around the nation to help you find the right scanning services for your specific industry. Whether you are looking for flatbed scanning, OCR scanning, sheet-fed scanning, or large format scanning, we do our best to complete your project quickly and efficiently. 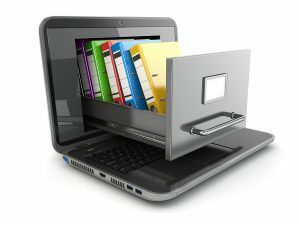 We specialize in any kind of document scanning, including bulk scanning for companies that are looking to go paperless, with additional assistance for any scanning needs that you may have. Depending on your industry, there might be certain laws and guidelines that must be followed. Let our experts know your industry standards so we can make sure to fully comply with all regulations and laws. Get Free Quotes on Industry-Specific Scanning and Document Management Services Today! Although we specialize in the industries we’ve listed here, we can help you find a local expert that understands the intricacies of just about any industry. We have the ability to take care of your records no matter what kind of service you require. Record Nations brings you free quotes from our local providers in just minutes! To get started, fill out the form on the right or give us a call at (866) 385-3706.